Is China an economic threat to the US? 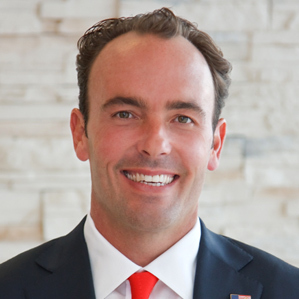 Kyle Bass will tell you—LIVE with your SIC Virtual Pass! Looks pretty simple, but it’s doubtful anything so simple will be done. End radically easy monetary policy. “Scale” points to falling marginal costs or returns to scale. This leads to industry concentration or outright monopoly. It’s happened before, in the late 19th century. We invented anti-trust law to cope. It needs to be revived and updated to meet present needs: “free” services, and the poorly defined economics of information, especially personal information. Also, don’t be so sure about Amazon. I believe they will be crashing down to earth in a big way. As a small business owner who previously sold on their platform, I have seen many problems with their business model and I do not believe it is sustainable, at least not with the sky-high valuations they currently enjoy. Would be happy to discuss in more detail if you are interested. Might want to reconsider that root canal John! Watch the documentary on netflix ‘root cause’. Just up your street; very interesting. Literally those are oligopolies, literally-speaking, I mean literally, John. The entire system is designed and controlled by very rich people (Congress, Potus, Central Banks) to make very rich people much richer. And you didn’t even tackle the issue with “government controlled ” capitalism such as China, which further distorts Schumpter’sthesis. A couple of thoughts from a reader. 1. The companies that you mentioned are not “mono-polies”. A monopoly is a market where one, and no more, entities dominate that market. Like the market for police protection. Three companies in a market does not make for a mono-poly. For example, you want a cell phone. You go to one of the companies or perhaps to a smaller, local company. Each of the majors has “churn”. How long would any one of them stay in existence if it did not continue to innovate. “Yield Shark” suggested that AT&T is going to grow because it is innovating. If AT&T is innovating, that means that it is trying to take customers away from its competitors. Or, try this. Google handles 60% of search. What was Google’s percentage before Microsoft updated and improved its search engine? 90%? - perhaps higher. “Creative Destruction”? If many of the companies that you mentioned do not continue to innovate, they will be destroyed/marginalized. As for the previous recession, some economists have argued that “mark to market” was one of the prime culprits. If financial firms would have been left alone, the assets could have gone back to better values, rather than being prices at fire-sale prices, and being forced to sell those assets at those fire-sale prices. Nobody knows what the final recovery value of the derivatives would have been because the government stepped in to sell and combine firms. And as for mono-polies, try the biggest one, the government. A well known Scot hedge fund manager whose name escapes me now classified the world into two groups: those with money who didn’t know what to do with it; and those who had ideas on creating wealth but no money to pursue their dreams. The second group borrowed money from the first group and paid back the loans with interest to the first group. His analysis of this dynamic over the period 1950 to 2016 revealed that the first group had captured much more of the wealth created by the second group than that group retained. Conclusion, interest rates were too high during that 66 year period. When interview at that time (about 2 years ago) he concluded that interest rates were about perfect in regards to who would benefit from wealth creation. Since then the Fed has raised rates considerably, tilting the scale again towards those who have money but little idea as to how to create wealth. I’m not convinced Amazon will continue to see massive growth. I’m an older millennial who has done plenty of shopping on Amazon (but is admittedly unfamiliar with AWS), and I avoid it now except for small items that are difficult to find elsewhere. My main complaint is quality; over the last few years, I have made a number of purchases that were, shall we say, very disappointing, and Amazon does not provide free returns unless there’s something wrong with the item. I guess you could lie and say you never received an item, but that’s technically fraud… anyway, you can’t trust the reviews on Amazon now, a tiny bit of planning obviates the need for delivery speed in most cases, and I much prefer merchandise offered elsewhere. Costco offers high quality goods and free, fully guaranteed returns, so now I buy pretty much everything I can there. Obviously, this is a sample size of one, but I think my experience is indicative of very real problems with Amazon’s business model. Amazon captured the transition to internet shopping, but companies like Costco and WalMart that have strong real footprints and continue to build their online presences constitute real threats to Amazon. I use someone else’s Prime account, and if Amazon shuts that down, I will not buy my own or continue to shop there.